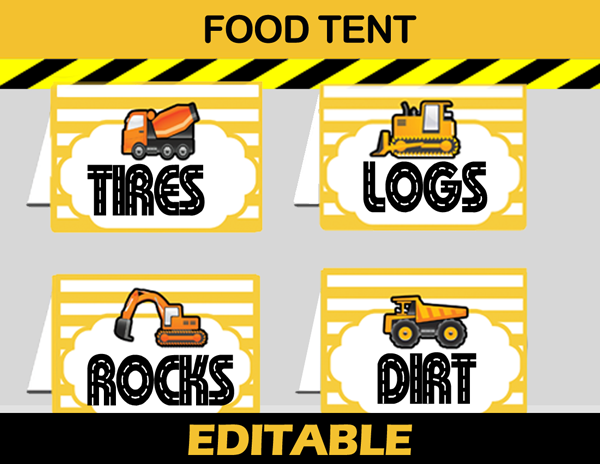 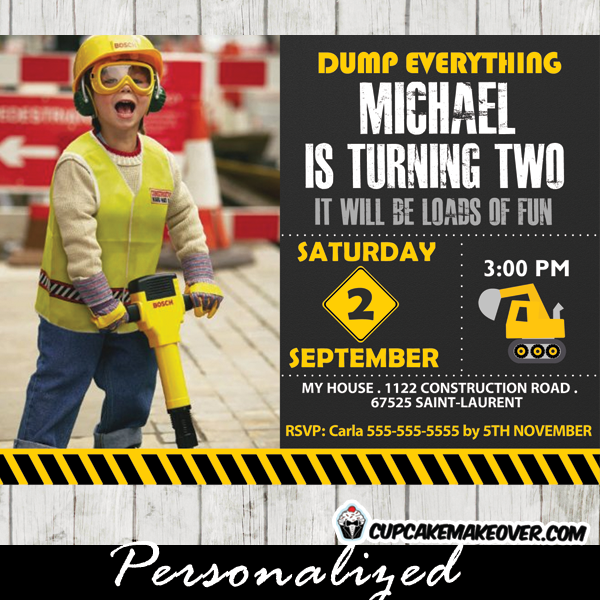 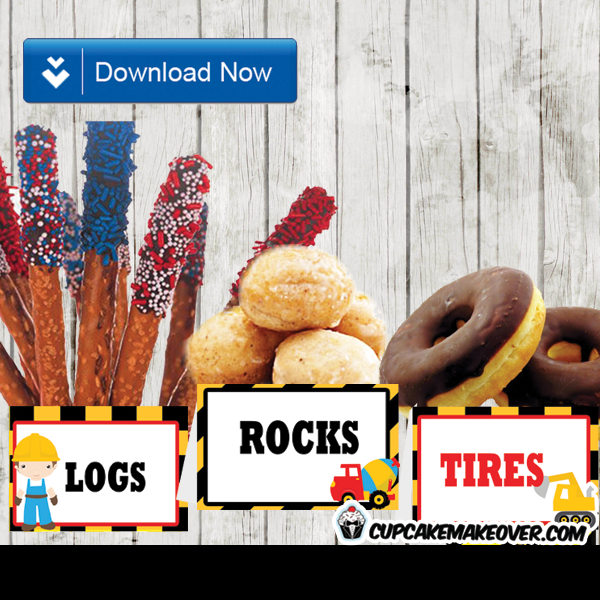 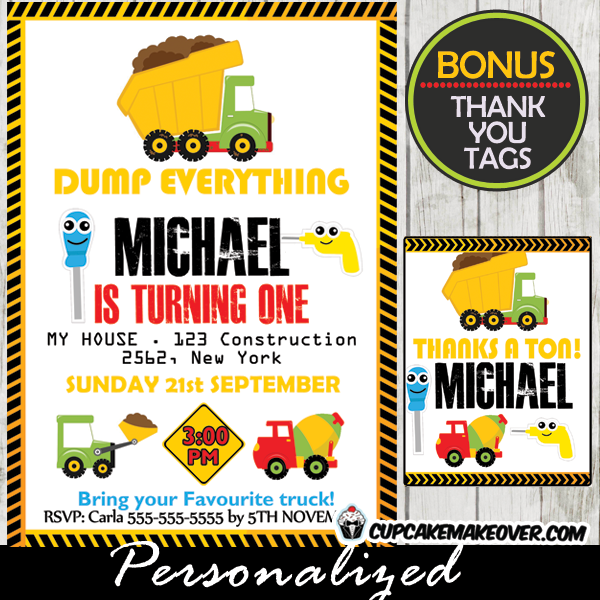 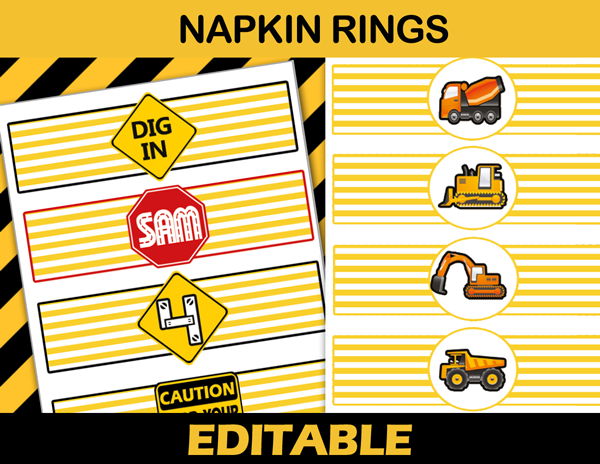 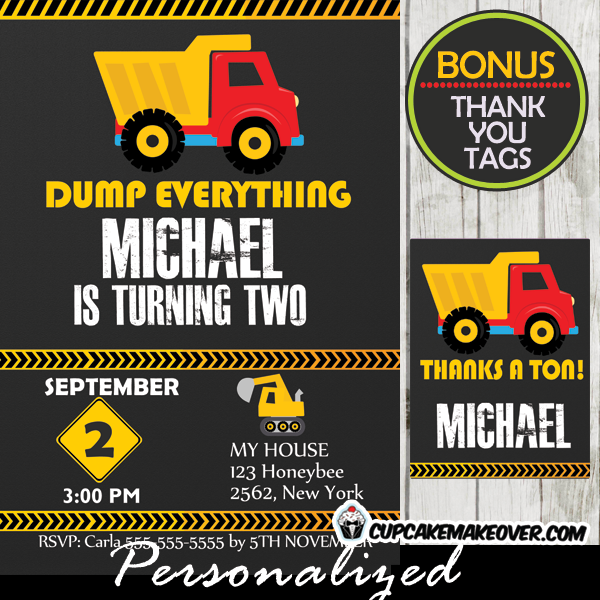 Printable construction dump truck birthday invitation for boys. 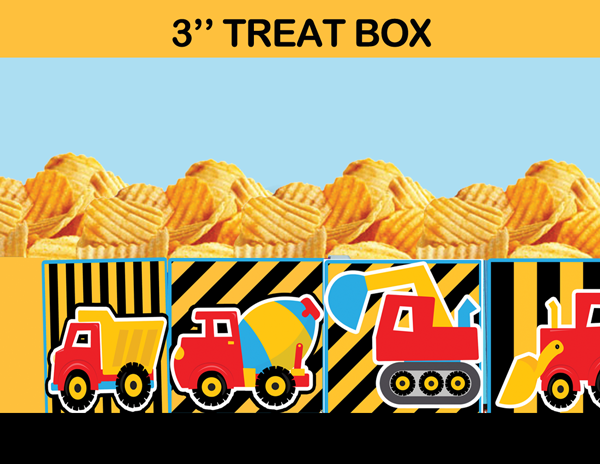 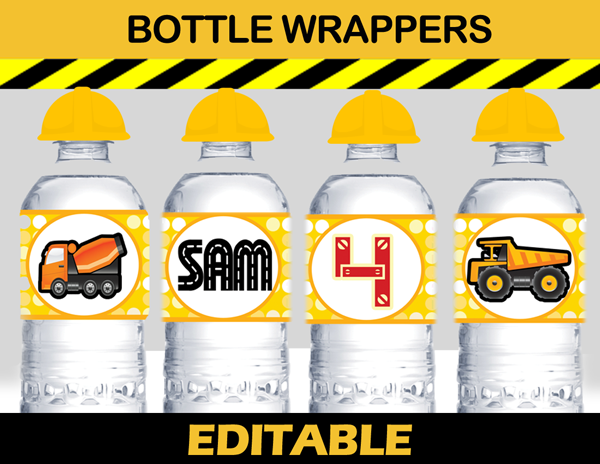 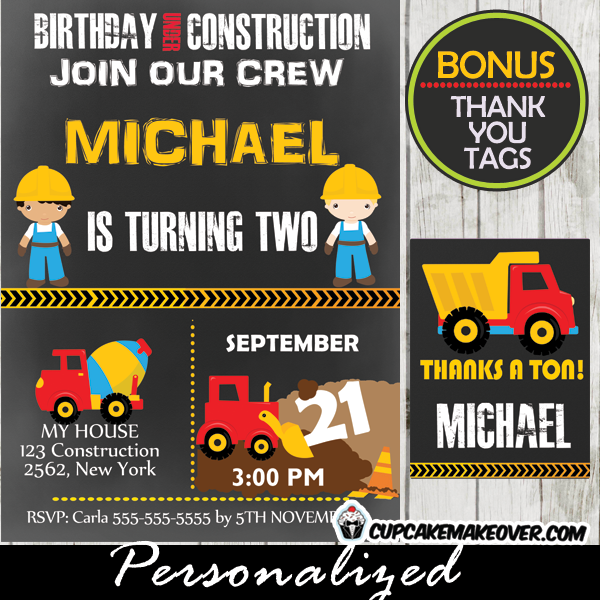 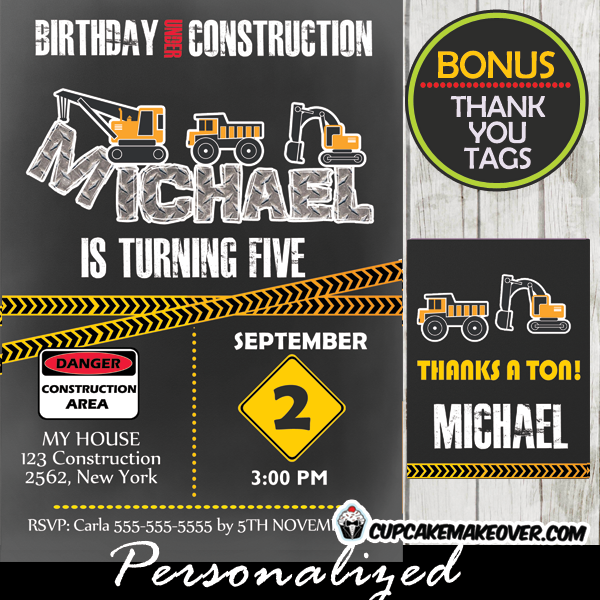 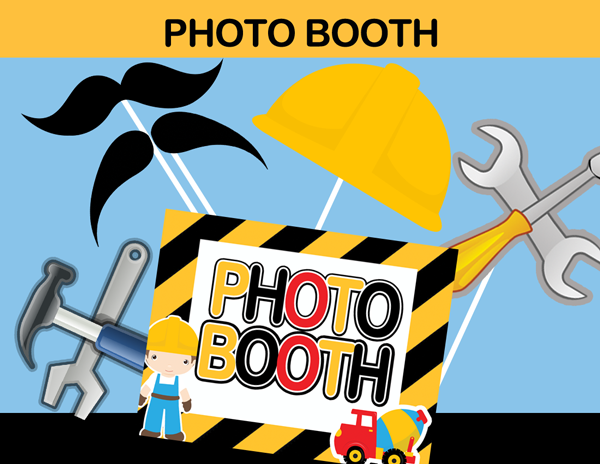 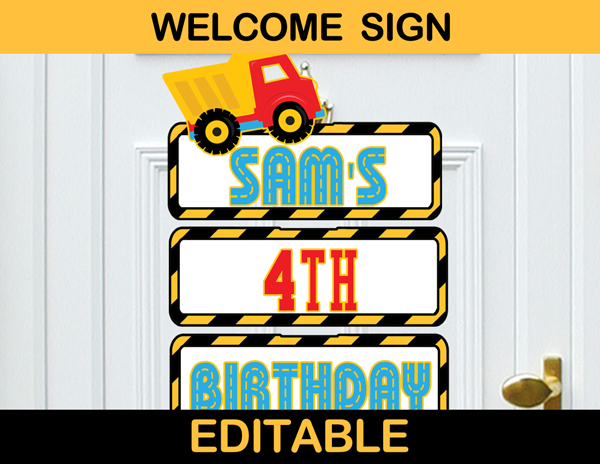 This adorable personalized construction truck party invitation prepares friends and family for loads of fun at your little boy’s celebration! 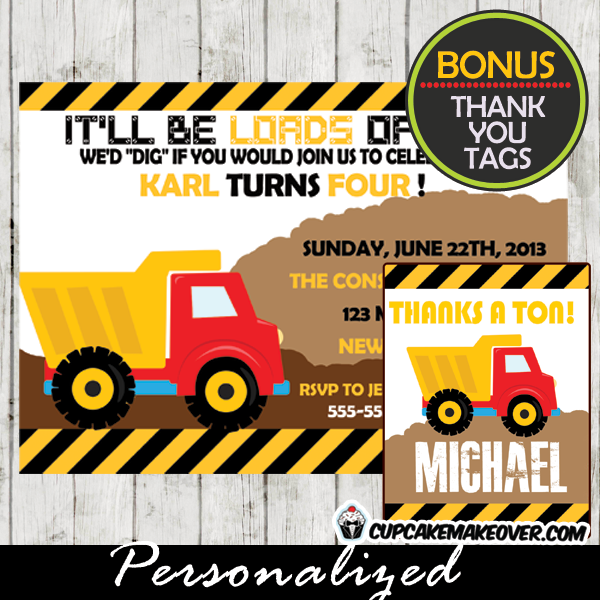 FREE coordinating thank you cards / tags – 3 x 4.